ESPN's digital service to be exclusive UFC pay-per-view provider in U.S.
NEW YORK (Reuters) - The streaming digital sports service ESPN+ will become the exclusive distributor of pay-per-view events for the Ultimate Fighting Championship (UFC) in the United States, the companies announced on Monday. The events will begin on April 13, almost exactly a year since parent company Walt Disney Co launched ESPN+ to retain viewers as traditional cable audiences started migrating to online services such as Netflix Inc.
ESPN+ lured 568,000 new subscribers when UFC debuted in January after the Las Vegas-based mixed martial arts promoter, a unit of Endeavor, LLC, moved fights there from Fox Sports. 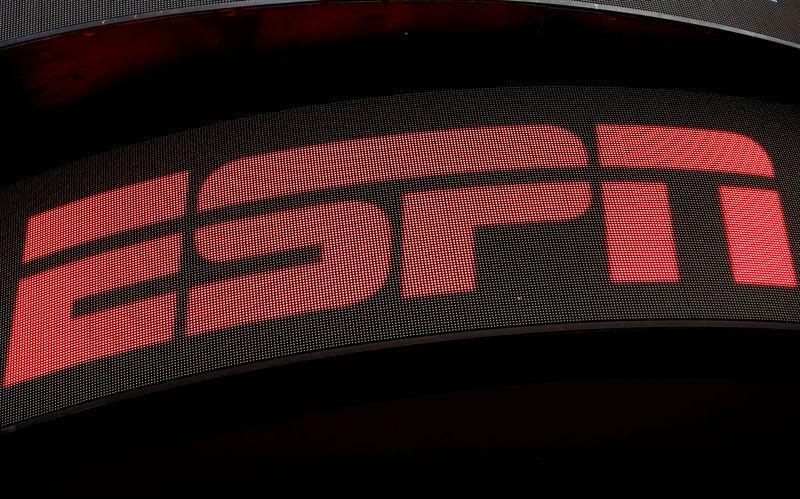 By the time Disney held its quarterly earnings call with investors in February, it said ESPN+ had signed up 2 million paying subscribers. It is the model for Disney+, a streaming service for family-friendly Disney content that is supposed to launch later this year. The UFC deal takes the traditional pay-per-view (PPV) model to a new level, giving ESPN+ subscribers exclusive access to the "biggest and most important fights," said Russell Wolff, ESPN+ executive vice president. He would not say how many paying subscribers ESPN+ currently has. The deal will also give the UFC something it has never had before: data about its PPV audience, including information about who is buying event access and viewers' propensity to purchase goods, said UFC Chief Operating Officer Lawrence Epstein. Fans will be able to access UFC content in one place, rather than having to jump to different platforms as they did in the past. The agreement does not impact UFC's commercial sales to the thousands of U.S. bars and restaurants that air its fights, Epstein said. Monday's UFC deal is an expansion of its previous ESPN+ agreement, which covered media rights to UFC Fight Night and now runs through 2025 along with the PPV deal. The expanded agreement covers 12 live PPV events per year that will be streamed in high definition in English and Spanish. PPV UFC fights will cost $59.99 per event for current ESPN+ subscribers, slightly less than the $64.99 fans usually paid in the past. New subscribers will pay $79.99 for their first PPV event and get one-year of ESPN+ access.